Dixon Advisory approached Meticulosity to work on five different sites for their property development and leasing businesses. Working with our HubSpot COS development experts and Inbound Marketing teams, our teams collaborated on UX design and development as well as site maintenance. This was a complex HubSpot HubSpot development project working with HubDB and Hubl to produce highly interactive elements. 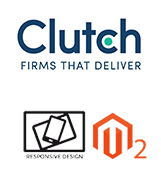 The resulting sites show the very best HubSpot has to offer as a CMS and are fully optimized to deliver results for the team.